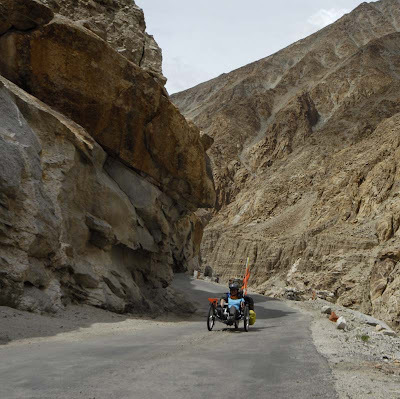 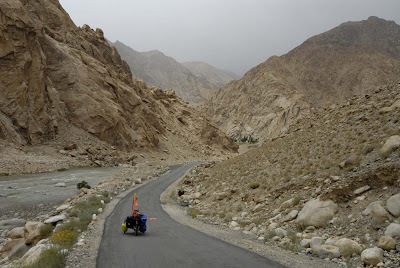 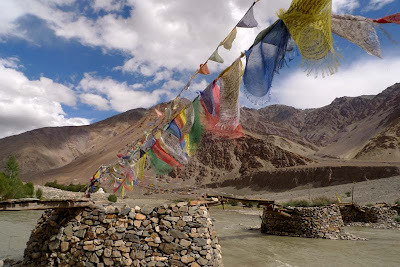 The next day, we're on wheels again, heading towards Leh via the Indus Valley. 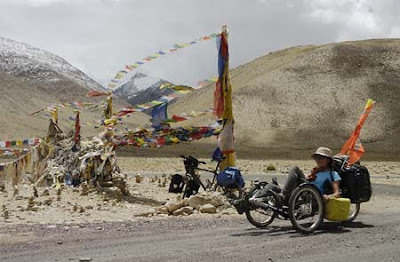 We put the bikes at the back of a pick-up so as to avoid the first 20kms of gravel and rocks outside Korzok that we already had to undergo on the way there. 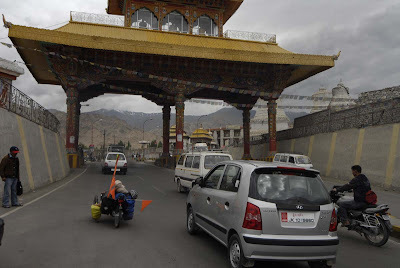 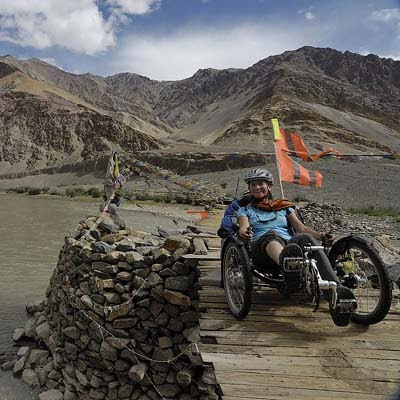 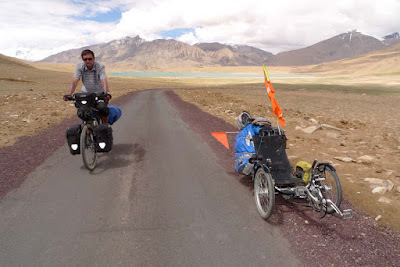 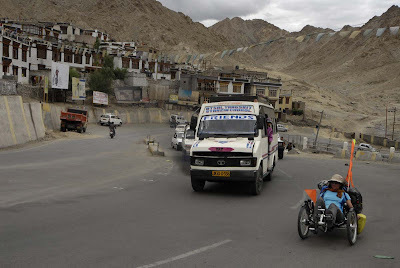 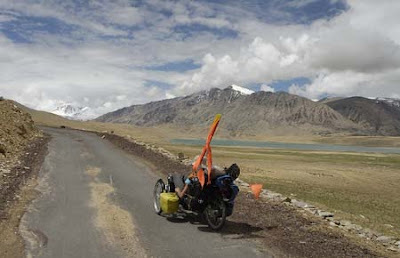 We need 2 days to reach Leh (69 + 104 kms) , and it's now good tarmac, quite relaxing. 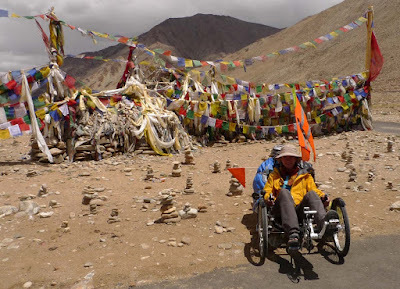 The only pass (Namshang La, 4,900m) seems easy as we are now well-acclimatized to the altitude.